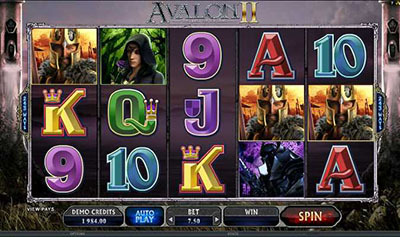 Tropezia Palace is one of the first to get limited release of new slots from Leander Games. Tropezia Palace is one of only 5 casino worldwide where you can currently find the 3 latest and innovative releases from Leander Games. Full of exciting and innovative features, you can play for longer at Tropezia Palace casino with their generous 200% Bonus up to £/$€200! Castaway: Stranded, alone, on a desert Island… what to do? 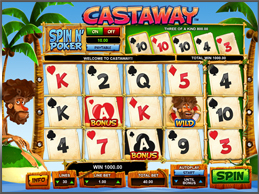 Robinson Crusoe would have been well entertained, spinning slots and winning lots! 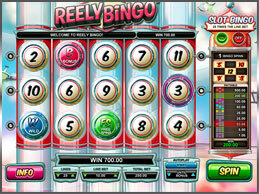 Reely Bingo: From the series of slots that made Leander Games so popular, Reely Bingo brings you all the thrills of the spins with the excitement of Bingo! 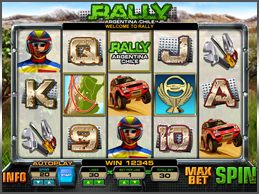 Rally: Drive across the most famous Rally tracks in the world and progress with each spin of the slot to the final championship! Leander Games always excite and always surprise. Players now have a unique opportunity to be one of the first in the world to try these new games. 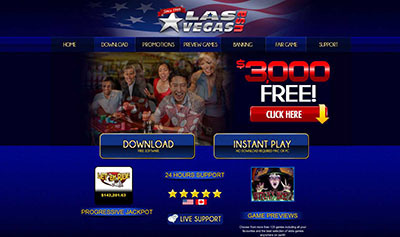 Tropezia Palace continues to bring players the widest selection of casino games online.